Look radiant with Beauty Facials at Anita’s Beauty Centre! In our stunning beauty salon environment at Anita’s Beauty Centre in Milton Keynes, we provide the following facials. All are performed to a very high standard using the best products on the market. NEW : CACI Non-Surgical Facelift Facials: Call 01908 520600 to arrange a FREE consultation. 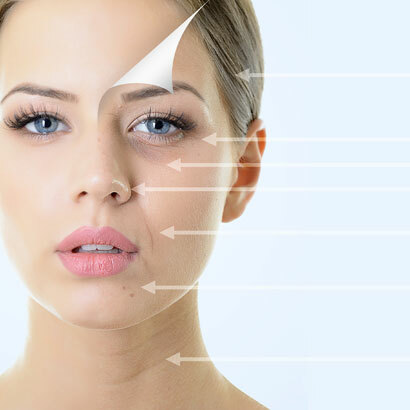 We offer CACI non-surgical facelift facials to give you a younger looking skin. There are over 50 treatments to choose from right from fingers to tummy to your face. Give us a call on 01908 520600 to arrange a FREE consultation. CACI Non-surgical Facelift CACI Non Surgical Facelift An advanced, non-invasive facial, that delivers visible results lifting and toning facial muscles. It improves skin elasticity and reduces appearance of fine lines and wrinkles giving you a younger looking skin. We offer cleansing to give your face a freshness and instant cleanliness in a short period. Using premium herbal creams with essence of Gold, this facial will give you a fresher clean face making you relaxed at the same time without worrying about any side effects, especially if you have a sensitive skin. Using the premium brand products and facials methods of Dermalogica, this facial will give you a fresher clean face and a relaxing experience. You will get a FREE Face Mapping® with your Dermalogica facial to enable us to use accurate products for your facial areas. If you are not sure about using a Dermalogica Prescription Facial then as a tester, we offer you a Dermalogica mini-facial to appreciate the brilliant-looking results from Dermalogica products. Cleansing: Cleanses the skin, removing impurities giving you clear skin. Exfoliation: Also known as scrubbing or micro-dermabrasion. Facial gets rid of dead skin, leaving you with younger looking skin. A facial provides cleansing, exfoliation and moisturising. It’s not a rocket science to understand that having regular facials helps your skin to look good!